Its no secret that I'm completely nuts about bikes. I love riding them and when I'm not riding them I like taking them to bits and putting them back together again. One of the fantastic things about living here in Copenhagen is that it is arguably the best city in the world for cycling around. I stumbled across this blog which is packed full of interesting bike related stories. 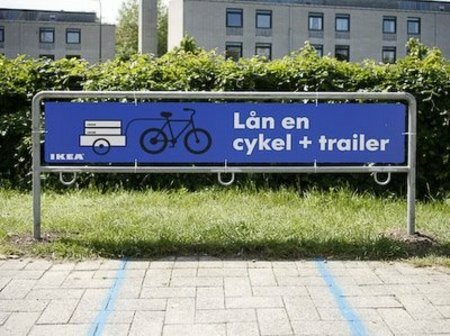 This post about IKEA introducing the free use of bikes and matching trailers caught my eye. 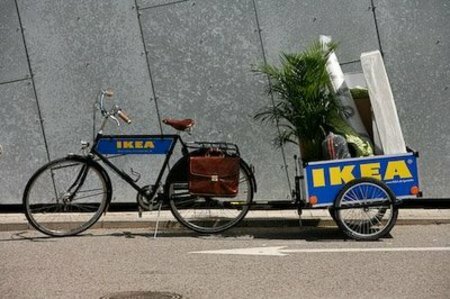 Again, a great example of IKEA showing they know how to market themselves in more interesting ways than the traditional poster campaign.